The First Tournament was a LOT of Fun, so we're doing again! Registration at 6:00pm with tournament start at 6:30pm. Due to spacing, we are limited to 60 teams! $5 entry fee per person or $10 per team. Fees for sets. Questions can be posted below or contact Gayle Schlake or Terry Johnsen. 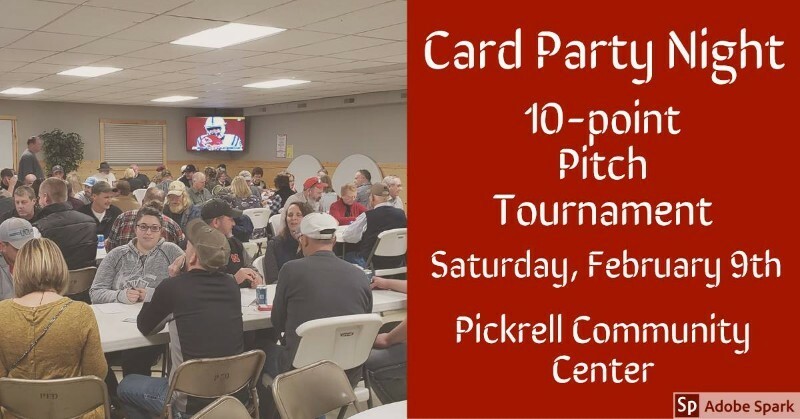 Fundraiser for the Pickrell Community Center renovation project.